An impression might have been given recently that parliamentary meetings only occur as and when e-NCA cherry picks a meeting for the evening news on the subject of state capture. 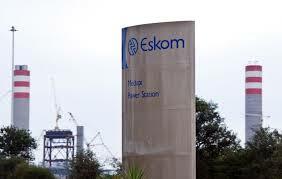 Therefore, one might think, every parliamentary meeting is either about the SABC or Eskom, Transnet or Denel. Nothing could further from the truth. 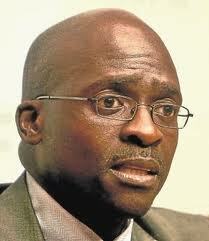 Although the perverse facts behind the carefully planned act of state capture, involving Bell Pottinger, the Gupta family, their friends and associates, the actual crime in parliamentary terms is non-disclosure to Parliament committed by public servants in the name of the same “prominent” persons, plus lying and falsification in terms of an oath taken to serve the nation. Parliament, as a structure, has remained untarnished as the second pillar of separated powers. It is the players who have broken faith. This is not to say that truth has always been exercised in Parliament in the past nor to claim that from the President down to backbenchers, all have been unaware that fake news has been fielded in parliamentary meetings. But what is heartening is that the parliamentary process has been an enormous hurdle for the crooked to overcome. In any one of the four sessions a year, each roughly equating in timelines to the terms of a school calendar, there are some three to four hundred committee meetings in the National Assembly and National Council of Provinces. The subject matters covered represent the activities of forty seven government departments, literally hundreds of SOEs and all legislation which is tabled for the Statute Book must be debated. All this is conducted with two audiences. It is a daunting programme. But soon it was noticeable that it was the meetings on SOEs, particularly those with their own boards and where tender processes were involved, that there was a common theme emerging. In each case it was a matter of strategic decisions not being taken to Parliament for approval; balance sheets not squaring up to meet the requirements of the Auditor General and the sudden arrival of newly appointed board members with little or no experience of matters under discussion. It all stood out like a sore thumb. Meanwhile, investigative journalism was to become a major force in parliamentary affairs. In fact it was the parliamentary system that began slowly to reject the manipulative processes being fielded. Many an MP started demanding investigative reports from Cabinet ministers with cross-party support; parliamentary rules were enforced in order to restrain the passage of mischievous legislation and the pointing of fingers and the use of the kind of language that is only allowed under parliamentary privilege contributed to the wearing down of the cover-up machine. Eventually, between the AmaBhungane team and the BDFM team and others such as City Press, investigative journalism saved the day. It could then be seen in writing that many of the issues so slowly being uncovered in Parliament, where nobody could pierce the web of intrigue and see the picture in its entirety, the full story was beginning to take shape. The extent of the theft is still not known and still emerging are new players in the list of “prominent persons”. There is also still no apparent follow up by either SAPS or the Hawks, nor matters acted upon by the National Prosecuting Authority. Worse, many do not expect this to happen – so cynical has the taxpayer become and so deep are the criminal waters. But, as the saying goes, “every dog has its day”. Despite the bad publicity for Parliament and the institution itself being under fire as to whether or not Parliament is a reliable democratic tool, a good number of MPs, especially opposition members, have been slaving away. This is despite the appointed Secretary to Parliament, Gengezi Mgidlana, going on “special leave” whilst allegations into his possible violations of the PMFA are investigated. 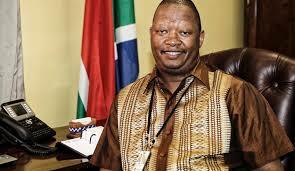 Mgidlana was appointed as “CEO” of Parliament by the Presidency. His jaunts overseas accompanied by his wife are the subject of investigation and have been the cause of strike action by parliamentary staff for nearly a year, whilst their own pay packets are frozen. Meanwhile, despite the top guy being a passenger in his own system, notices are going out on time, the parliamentary schedule is available every morning and the regular staff are hard at it. Now is the time in the parliamentary diary when the April budget vote is activated; money is made available and departmental programmes initiated. Hearings have been conducted on many important pieces of legislation. There is an extraordinary team in Cape Town which runs Parliament, especially researchers and secretaries to committees. Added to this, if it was not enough, a normally busy schedule was further complicated by urgent meetings on poor governance; tribunal findings; briefings for new members of Cabinet and the fact that to match President Zuma’s ever-expanding Cabinet with appropriate government departments there were some fifty portfolio and select committees all being served by a reduced Parliamentary staff. The extent to which corruption is embedded into government’s spending programme makes parliamentary oversight a difficult and lengthy task, especially when under performance or poor governance matters are involved. It all reflects the times we live in. In one day alone there is not enough parliamentary time for a whole range of public servants to be “in the dock” to answer questions on matters involving millions of rand. To be fair, it is often as difficult for the respondent to get around to answering as it is for parliamentarians to get to the truth. When you know the boss is on the take, how does one answer? Issues tend to go around in circles. Sifting out the rhetoric when the truth is shrouded in political intrigue is no easy task in Parliament especially when people are frightened of losing their jobs. As the millions of rand stolen turn into billions of rand during the early part of 2017 and parliamentary committees were introduced to new “acting” directors in charge of government funding, TV cameras popped up in all corners of the parliamentary precinct. One was constantly tripping over metres and metres of black cable to caravan control rooms enabling the public to watch the latest saga. At the same time, Parliament is clearly now being side-lined by members of the Cabinet or avoided by Directors General and this maybe because of this new found public form of entertainment of spotting the good guys and shaming the captured ones. In the past, the abuse of parliamentary rules by the incumbent President used to be considered as country-boy innocence but now the position has changed. As any election approaches, parliamentary rhetoric always descends into low grade babble in the National Assembly but this time it is very different. there is a clear disconnect between Parliament and the President. With the addition of the now infamous “white minority capital” campaign to the debate, orchestrated ostensibly as we now know from London (as probably was the over employed expression of “radical economic transformation”) most of the forty-seven ministers and deputy ministers hammered out the same slogans in their budget vote speeches 9r at any given opportunity to speak, as if orchestrated. Going back to the beginning of 2016/7, Parliament has ploughed through the Nkandla mess; the SABC crisis; the Eskom governance exposures; the troubles at SAA; the failures and manipulations at Denel; crookery at Transnet; the PRASA scandals and in the losses at PetroSA, the latter being just sheer bad management it seems driven by political desire. All of this has involved a lot of committee time far better spent on enlightening issues to assist the economy and create jobs. The “blame game” simply led to a jungle of write offs with no explanations but, suddenly, an ill-timed series of cabinet re-shuffles rattled a hundred cages. 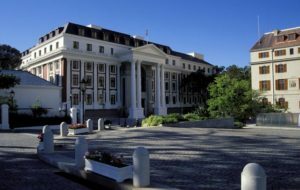 Friday, March 31, 2017 will always be remembered following a period of stun grenades and parliamentary brawling in the House as President Zuma announced yet another set of choices to make up his Cabinet. In committee meetings, in no less than eight portfolios, new or changed Ministers and Deputy Ministers appeared at meetings with little background. The second session of the 2017 Parliament had this extraordinary start and on it ending, the arrival of the Gupta emails has now confirmed and named many involved in the whole issue of truthful depositions before Parliament. No doubt a lot more shocks are yet to come. 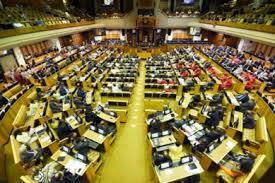 The next session of Parliament will represent one of the arenas where the gladiatorial challenge will be played out on state capture together with the battle to avoid fusion in the separation of powers. It is to be hoped that spring at the end of the third session will herald more than just another summer. F or three weeks now, the parliamentary working committees have been exercising oversight on the forty seven government departments responsible for service delivery throughout the three tiers of government service. In terms of the Constitution, oversight is necessary to qualify and quantify the appropriations made to each department for the next six months of the budget year. Under each department have also come the reports of the many state owned entities (SOEs) described under section twenty nine of the Constitution and scheduled into categories under the Public Finance Management Act. There are the many national government business enterprises similar to Eskom and Telkom; then the funding entities controlled by boards such as the Road Accident Fund; and finally the less self sufficient and less commercial entities such as CSIR and SABS. Generally speaking, SOEs are funded from the public purse, meaning that the public has a legitimate interest in the workings of the SOEs. In the case of the large national enterprises, it could be said that the public is an indirect shareholder through the shareholding minister. The new and so far quite successful system of evaluation by Parliament involves reference to performance rating by the newly established presidential evaluation department. Also contributing are the auditor general reports produced on time, and thankfully every time, by the backbone of South Africa’s essential and probably most un-applauded department, the office of the auditor general. We have watched these mainly young men and women in action. Thank heavens for their contribution. Following minister of finance Nhlanhla Nene’s address on the medium term budget statement, there will follow a pause and even perhaps a vacuum of expectation. It is an enormous machine that he addressed in the public sector; a government structure which has 34 ministers, 33 deputy minister, 159 directors general, 642 deputy directors general, 2,501 chief directors and 7,782 directors. 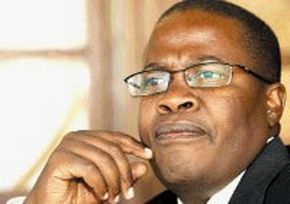 In a sour note, the Freedom Front pointed out for what it is worth that 40 years ago the country had 18 ministers, six deputy ministers and 18 directors general and in the most recent quarter of 2014 it has been reported, they said, that more than 44 000 public servants have been appointed bringing the number of public servants to just over 3m, or 22.6% of the total labour force of South Africa. 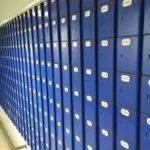 The dilemma now is that all the regulatory processes put in place to monitor spending of tax payer’s money could so easily establish more red tape and further hinder the delivery process. But to be positive, the oversight system seems to be working and has established a far better ethos in spending procedures and also seems to have established an improved sense of morality. Politicians such as chairperson of the standing finance committee, Joan Fubbs, may seem fuddy-duddy at times but such are erudite and responsible people and bad performance on delivery receives little change when in debate. Performance of SOEs is now is now clearly the key issue in South Africa and whether what is happening in Parliament can be translated down to provincial, municipal and local level, where local governance controls are often shaky, is now the constitutional issue facing minister Pravin Gordhan. The overall trend is also clear – employment in the private sector has declined while public sector employment has grown. Public service and administration minister, Lindiwe Sisulu, in charge of what has been rapidly expanding public service, faces a major problem ahead in dealing with the intimidating annual wage negotiation period, which is not a good time to rein things in. In the coming weeks, until the year end possibly, the uneasy feelings expressed in many portfolio committees that nothing is happening will probably persist until some sort of positive results emerge from the massive infrastructure spend. Like a tanker making a turn at sea, any large public service in any country is slow to respond and it will no doubt take time before this change in economic direction, now being better monitored in the parliamentary sphere, can be distinguished as a turn for the better.